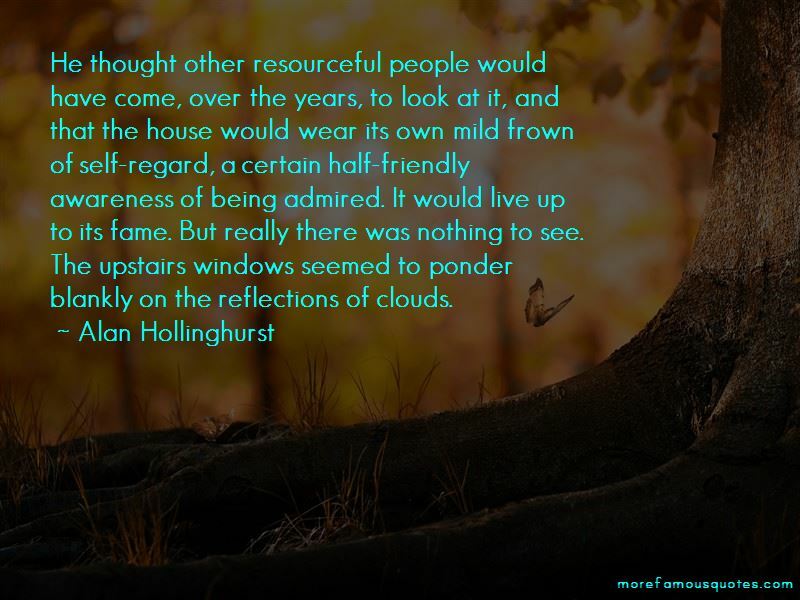 Enjoy the top 34 famous quotes, sayings and quotations by Alan Hollinghurst. He wanted pure compliments, just as he wanted unconditional love. that was the worst thing. Now he had chanced on one of he standard hard-on sessions of the shower, as on both sides of him and across the room three queens sported horizontal members which they turned around from time to time to conceal or display, barely exchanging looks as they resolved. The old men took no interest in this activity, knowing perhaps from long experience that it rarely meant anything or led anywhere, was a brief and helpless surrender to the forcing-house of the shower. In a few seconds the hard-on might pass from one end of the room to the other with the foolish perfection of a Busby Berkeley routine. 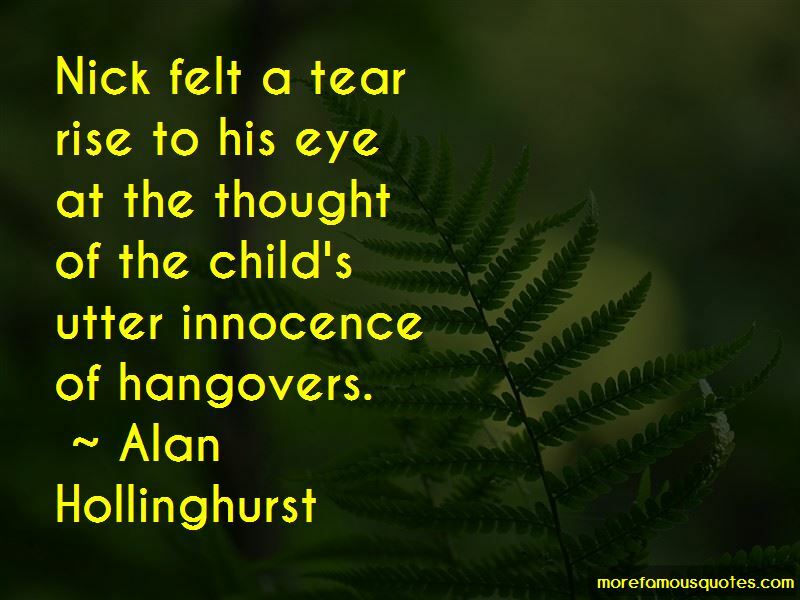 Nick felt a tear rise to his eye at the thought of the child's utter innocence of hangovers. “I can't bear the smell of cigars, can you?" said Lady Partridge. 'Can't really say?' Nick said, and heard, as he sometimes did, his own father's note of evasive sympathy. It was how his family sidled round its various crises; nothing was named, and you never knew for sure if the tone was subtly comprehensive, or just a form of cowardice. Paul was blandness itself, just tinged with pink. Now that I had actually made love, more astonishingly now that I had been made love to, the fantasies were subtly undermined. Want to see more pictures of Alan Hollinghurst quotes? 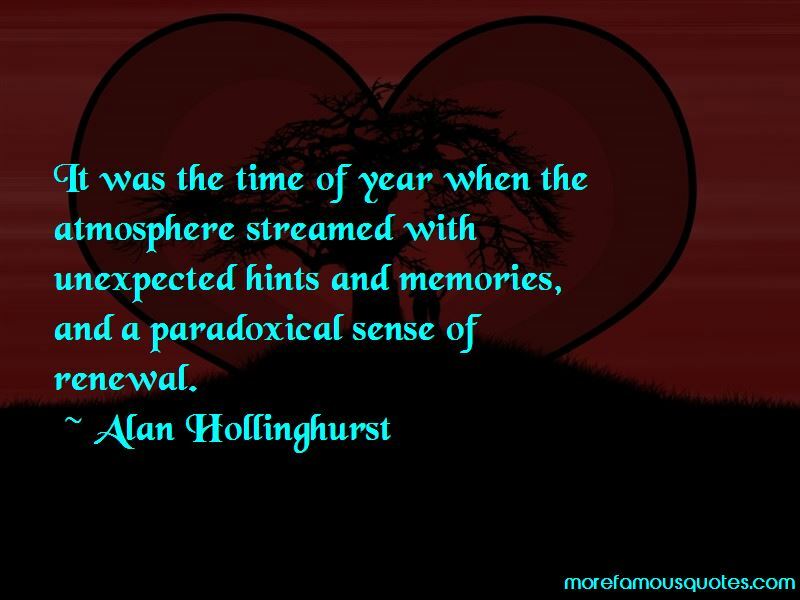 Click on image of Alan Hollinghurst quotes to view full size.